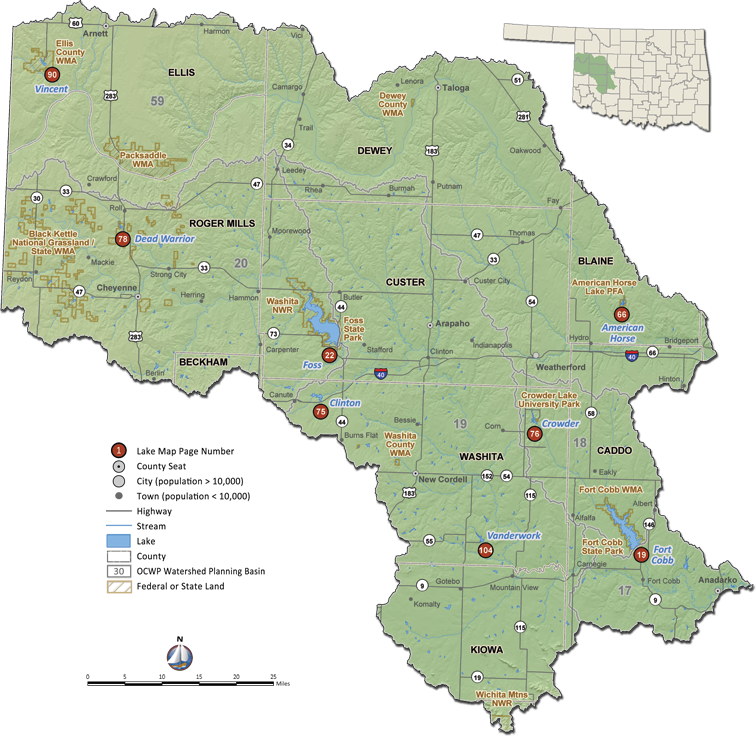 The West Central Region encompasses 5,262 square miles in western Oklahoma. The region is supplied by two major rivers: the Washita and Canadian. 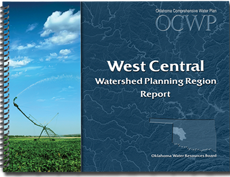 The West Central Region accounts for about 4% of the state’s total water demand. Surface water supplies are used to meet about 16% of the region’s demand. The largest demand sector is Crop Irrigation (68%). By 2060, this region is projected to have a total demand of 110,300 acre-feet per-year (AFY), an increase of 30,620 AFY (38%) from 2010.